← Friday Funday Happy Hour! Preheat your oven to 400 degrees. Scrub the sweet potatoes to remove surface dirt and prick all over with a fork. Throw into a large bowl with a couple tablespoons of olive oil and toss to coat, then sprinkle with the salt. Place on an oven rack in the middle of the oven and bake for 50 minutes. The science: Coating the potato with olive oil helps to regulate the temperature inside while it is cooking, and keeps it from drying out. The salt on the skin is mostly for if you are eating the skin (which you should, it’s really good for you!) The olive oil might drip and cause smoke in the oven, so I put an 8×8 pan on the bottom rack with a little water in it to catch drippings. 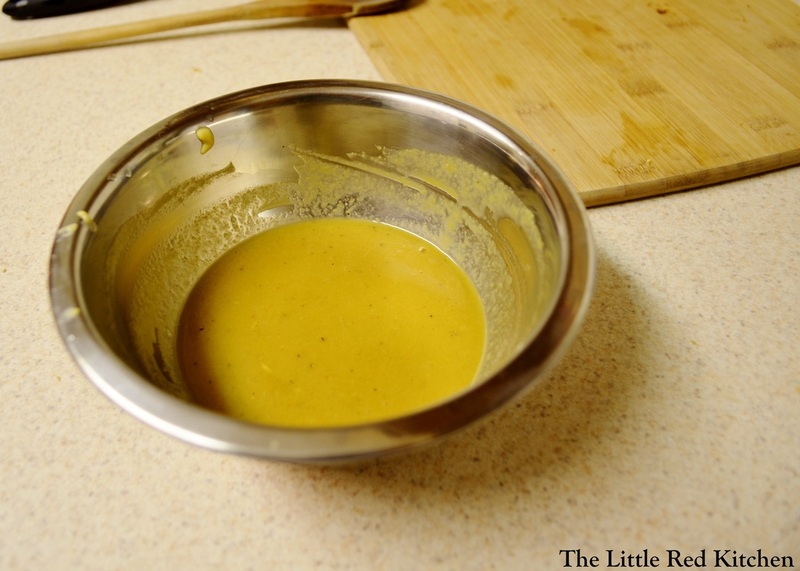 About 20 minutes before the sweet potatoes’ cooking time is up, prep the sauce for the chicken by mixing the Dijon mustard, maple syrup, 1/2 tsp. salt and 1/4 tsp. pepper in a small bowl. Set aside. 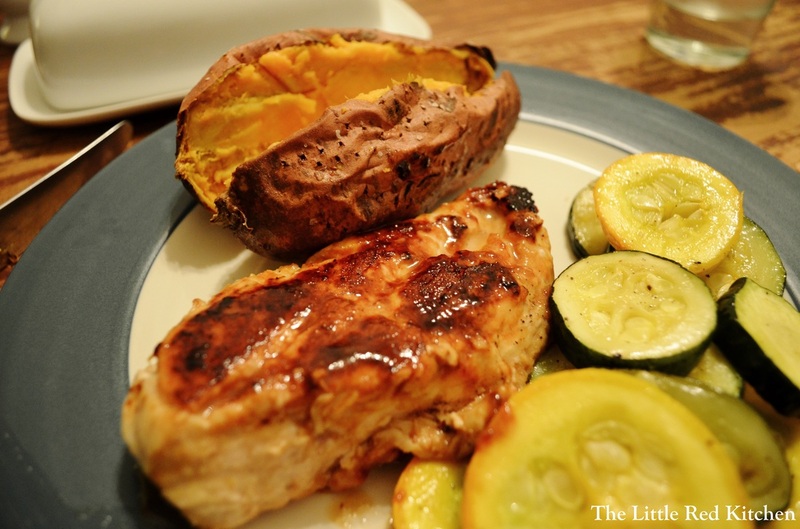 Blot the chicken breasts with paper towels to remove excess moisture and sprinkle on both sides with salt and pepper. 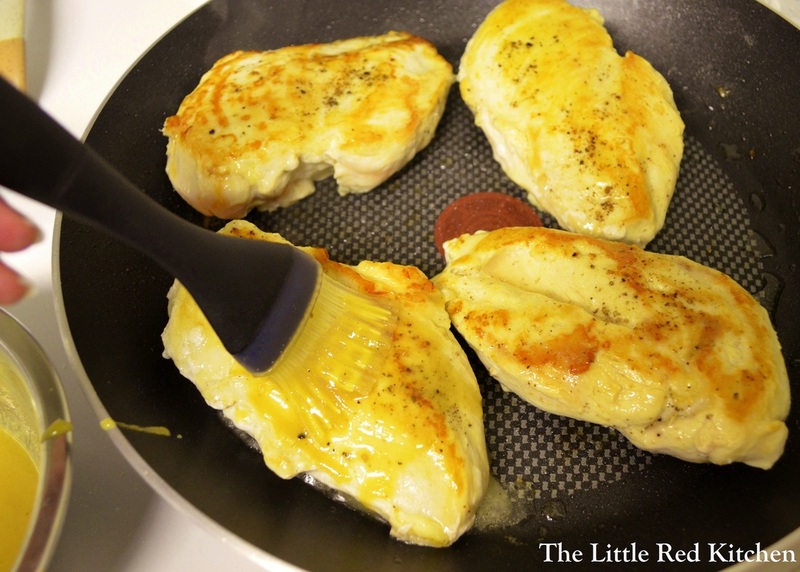 Heat the olive oil in a 12-inch nonstick skillet over medium high heat and place the chicken breasts in the pan. Saute for about 6 minutes on one side, then flip. At this point, you can start brushing the sauce onto the cooked side of the breasts. Transfer the chicken to a plate, pour the rest of the sauce on it and cover with aluminum foil and let rest for 5 minutes before serving. 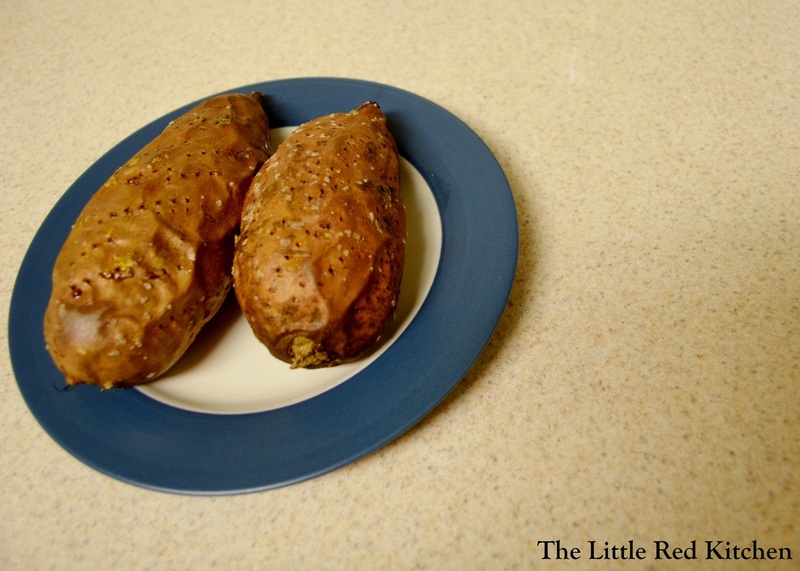 It’s around this time that you can probably pull the sweet potatoes out of the oven and let them cool off a bit too! I don’t know about you but I get cranky when I’m served sweet potatoes that are ‘candied’ or covered in marshmallows. If you let this potato stand on its own, you will be amazed. Baking and serving with a little olive oil, salt, and pepper is absolutely my favorite technique. The flavor and texture of a sweet potato cooked this way is transcendental! And it pairs wonderfully with the maple Dijon chicken.P.S. Much like eating the skin, it is a good idea to serve the sweet potato with a little olive oil. The presence of a healthy fat actually helps to distribute some of those nutrients to your body!Enjoy!